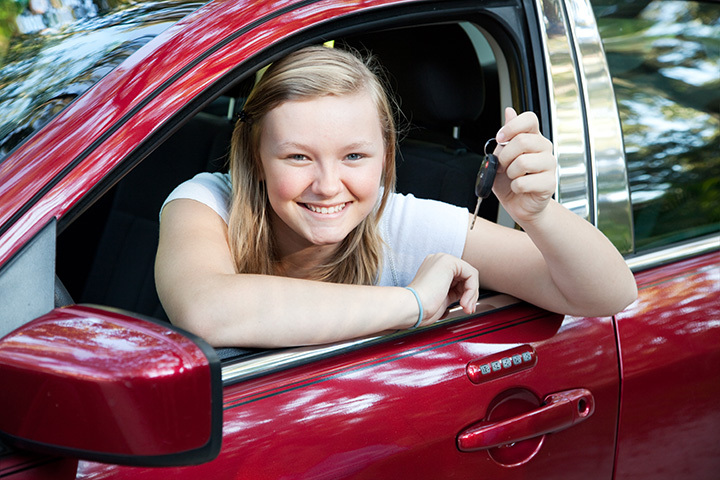 6 Essential Tips for parents of new teen drivers! Your teen's first driving permit is a milestone in both their life and yours. They're taking a first step toward greater freedom and responsibility as teen drivers, and you're wondering if it's time to break out the hair dye as you deal with new concerns about their safety, your car, and potential insurance headaches. But getting ready to help your child take the wheel doesn't have to be an exercise in frustration. We've collected six tips that can help you ensure both you and your teen driver are prepared for the road ahead. Like any skill, driving takes practice to master-and helping your teen understand the risks and rewards that come with driving privileges is an important part of making sure they approach driving with the respect it deserves. The National Highway Traffic Safety Administration (NHTSA) recommends setting some ground rules for your teen to make learning to drive safer. You can talk to your teen about ditching dangerous distractions and understand the risks and statistics associated with teen driving. After the safety of your child and the car with which you've entrusted them (not to mention the rest of the drivers on the road), your biggest concern as the parent of a teen driver is likely to be the additional insurance cost. And with good reason: a 2015 study commissioned by InsuranceQuotes.com indicated that, depending on where you live, adding a teen to your policy can add as much as 80% to the cost of your existing insurance premium. Asking for discounts Multiple vehicles, low mileage, and your safe driving (and, eventually, your child's) can lead to significant savings. Defensive driving and driver's ed courses can help you qualify for discounts as well, and for teens with strong academic performance, good student discounts can help you save even more. Waiting a few years This one might be a bit of an uphill climb if your teen is as eager as most to hit the road-but waiting until they're 18 can shave 20% off the cost of adding them to your policy. Practice, practice, practice: it's not just the way to get to Carnegie Hall. Whether your state requires a Driver's Education course or not, it's always a good idea to invest in some personal teaching time with your teen to help them gain confidence and skill as a driver. It's wise to begin with the basics, and starting off in an empty parking lot can give you plenty of space to practice the fundamentals. Once you and your teen are comfortable with basic operations such as putting the car in gear, operating controls for the heater, lights, and wipers, forward and reverse, turns, stops, etc., you can move on to practicing in varying weather conditions to help them get a feel for how the car handles in all seasons. Taking the time to work with your teen on the basics will supplement the education they'll receive from training and help you set a good example for them as a driver-as well as provide an excellent opportunity for bonding. After all, one day you might need them to drive you. Driving is a big responsibility, and one way to drive that point home (no pun intended) is to sit down with your teen and sign a Parent-Teen Driving Agreement. Your teen agrees to follow the rules of the road, as well as the rules you set for them, and you agree to help them become safe, responsible drivers through support, clear expectations, and (when necessary) disciplinary measures. An agreement like this communicates to your teen the seriousness of taking the wheel, and helps you guide them toward becoming a safe, happy, and responsible member of the driving public. It might even help you sleep a little better at night, although your mileage may vary (pun absolutely intended). It's win-win! Make sure your teen knows where the spare tire and toolkit is located in your car, along with the jumper cables, manual, dropcloth, flares/cones, and any other emergency supplies. Outside the car, consider talking to your teen about budgeting for gas and, if they have a part-time job or savings, their share of the insurance and maintenance on the car itself. Contributing to the cause not only helps them prepare for the costs of driving as an adult, but also encourages careful consideration of how they drive, and where. Leadfooting and hot-rodding are a lot less appealing when they're done on your own dime. In addition to Driver's Education and Defensive Driving courses, you can also call upon the expertise of organizations such as the American Automobile Association (AAA), the Department of Motor Vehicles (DMV), and Centers for Disease Control and Prevention (CDC), all of whom offer resources to help parents of teen drivers. Late nights. Wet roads. Big premiums. You might not be able to stop yourself from worrying as your teen becomes a driver, but you can help make things easier for you both by taking the time to set a good example, help them understand the risks and responsibilities, and give them the tools they need to ensure they're safe, responsible, and successful on the road.